Hughes had, as he said, a “long history of donating to the Republican Party” and was “involved as a donor in both Bush campaigns.” He had also been a major funder of Karl Rove’s American Crossroads PAC that helped win Congress for the GOP in 2010. Why the switch? The billionaire philanthropist said that he isn’t walking away from the GOP, but that they walked away from him. [I]t’s a matter of them [the GOP] walking away from me … I don’t see any ideas and any track record on either side [of the two major parties] that would lend itself to good government,” Hughes says. He studied Johnson and his vice presidential partner William Weld’s records as Republican governors of New Mexico and Massachusetts, respectively, and saw them “speaking reason and sanity into what was otherwise cacophony” in the election. 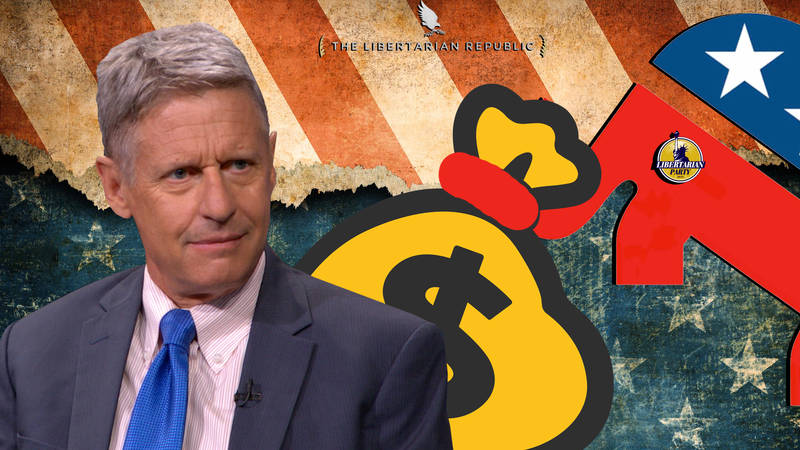 While he’s been aware of the Libertarian Party, “I never thought of throwing my vote” to it until now. “I’m conservative,” he says. “I characterize myself as a conservative before a Republican. I’m very fiscally conservative and socially moderate.” He says he first heard about Johnson from “a friend” about six months ago who “said there was a third [choice] trying to carve out a place at the table. What are your thoughts on this latest development? Will the support of one billionaire mellow the water for more power players to step in on the side of Johnson? Let us know on Facebook or in the comments below.